Your financial support — if God leads you to give — allows you to partner with us by investing in the life of a child in ways that could impact them and their families for generations to come. Why Support Us: UCA seeks to provide students with an excellent and enriching Christian education and discipleship program. We help our families to navigate the barriers that would otherwise prevent them from accessing such an opportunity. Our scholarship structure allows our families the ability to make a decision about their child’s education based on what is best for their child, regardless of their financial situation. They give what they can in time and money on a sliding scale. However, this structure also makes the contributions and donations of our financial supporters a vital part of our school’s success. 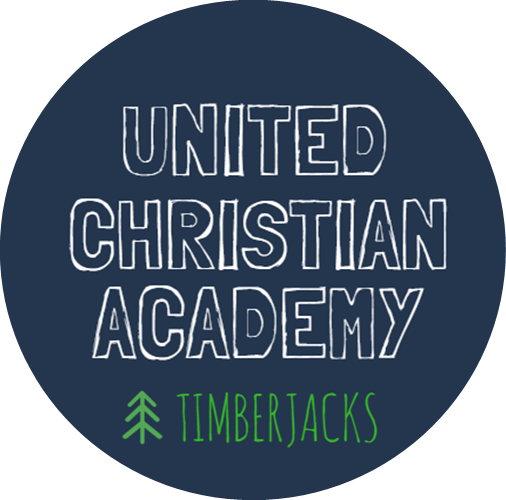 United Christian Academy is a registered 501(c)3 nonprofit education center that is neither publicly funded nor tuition-based. As a result, we rely upon the generous contributions of individuals, businesses, and churches for the daily operations of our program. VOLUNTEERING: We would love to engage fellow Believers in helping meet the Christian nurturing and education needs of our students. If you have a heart for children and would like to make a commitment to serve as a mentor, tutor, guest instructor, lunch helper,” field trip chaperone, or just come enjoy fellowship, we would love to hear from you. Visit our volunteer page to learn more about the opportunities to get involved. FOLLOWING AND PRAYING FOR US: You can follow updates about our school, progress of our students, and find out about events and fundraisers through social media and newsletters. Please be praying for our school, teachers, and students.